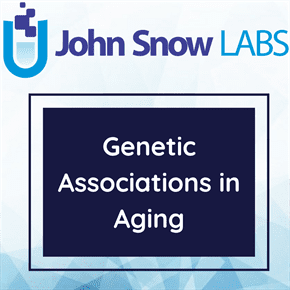 This dataset is a manually curated database of the commonly altered genes and their common names during human aging. This dataset is part of the study of genetic associations of gene expression signatures of aging from a meta-analysis of microarray studies in various mammals. This dataset comes from the GenAge (Genetic Aging) section of the Human Ageing Genomic Resources (HAGR) which is a repository containing information about the genetics of aging. This dataset of genes associated with longevity or aging in humans display the commonly altered genes in aging and its effects whether overexpressed or underexpressed. For a gene to be featured, its association with aging and/or longevity must be unambiguous, and hence most genes were selected based on genetic manipulations and not mere correlations. Genes associated with longevity or aging from the previous study on model organisms can be useful as a reference and educational resource for researchers. The dataset “Genes Associated With Longevity or Aging In Model Organisms” showed the best genes from model organisms that serve as the basis for deriving the dataset of putative human aging-related genes. The human datasets in GenAge is a curated database of genes that are designed to provide up-to-date information in the context of aging and molecular genetics. Because the focus is on the fundamental aging process, what some authors call senescence, and not just age-related pathologies, the human dataset features primarily genes related to biological aging rather than genes that only affect longevity by having an impact on overall health. Each gene in the human dataset was selected after an extensive review of the previous study. They were carefully identified genes that are associated with aging in humans. Each gene was selected or excluded based on its association with aging in the different model systems, with priority being given to organisms biologically and evolutionary more closely related to humans. Values of individual experiments represent the log2 ratio of the expression signal old / young normalized to common ages, as described in the Methods. n Genes = number of experiments with gene expression measurements. n Overexpressed = number of experiments with a significant overexpression using p < 0.05 as statistical cutoff (individual experiments are marked with *). n Underexpressed = number of experiments with a significant underexpression using p < 0.05 as statistical cutoff (individual experiments are marked with *). p value and q value were calculated for the combined profiles of all experiments, as described in the Methods. de Magalhães et al.de Magalhaes, J. P., Curado, J., Church, G. M. (2009) Meta-analysis of age-related gene expression profiles identifies common signatures of aging. Bioinformatics 25875-881.